Barbie® Announces Plan to Turn the White House Pink with a Run for the Oval Office | Mattel Inc.
EL SEGUNDO, Calif.--(BUSINESS WIRE)-- Today, Barbie® doll formally threw her pink hat into the presidential campaign ring by unveiling the new 2012 Barbie® I Can Be…™ President doll. The global icon will represent girls of all ages on her road to the "Pink House," serving as the "B Party™" candidate. Barbie® will hit the campaign trail with a full-scale "glam-paign" alongside her longtime political advisor — The White House Project®. With a designer pink power suit and a new Tumblr blog, Barbie® stands on her own (literally) as this campaign's sole female candidate. As the unwavering, encouraging voice of the "B Party™," Barbie's campaign platform calls for girls of all ages to "B inspired," "B informed" and "B involved." 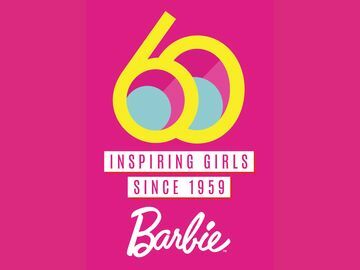 To further deliver her message, Barbie® will continue to partner with The White House Project® - a national, nonpartisan women's leadership development organization — from the presentation of the "Barbie® I Can Be™ Award" to a young girl at the organization's annual awards gala to a "Take Your Daughters to the Polls" movement in November. "The Barbie brand's career-focused line of I Can Be… dolls often shine a pink spotlight on professions that are historically underrepresented by women," said Cathy Cline, Vice President of U.S. Marketing, Mattel Girls' Brands. "We hope that Barbie will inspire girls to be leaders - be it in their schools, classrooms, or communities - with the President doll. We know that role play often becomes real play… and when better to plant the seed of leadership in a girl's mind than during play time." With more than 130 careers, Barbie® doll has always been both a career trailblazer and a trend-setting style icon. Now, in her fashionable pink wedge shoes, the Barbie® I Can Be…™ President doll literally stands on her own without support or the need for a doll stand. "We are ecstatic that for the first time Barbie will stand on her own two feet, as all powerful leaders do — and the Barbie for President doll has the perfect platform to debut this feature," said Tiffany Dufu, President, The White House Project®. "This new feature goes well beyond the toy aisle with a message for girls across the world." Continuing its longstanding partnership since 2000, Barbie® and The White House Project® have teamed up again to empower the next generation of girls to learn about leadership roles. "We are proud to continue our partnership with Barbie and to see America's favorite doll represent girls this election year," continued Dufu. "Our founder Marie Wilson has often quoted Marian Wright Edelman, who said, ‘You can't be what you can't see…' — and only Barbie can deliver a never-ending array of possibilities to the imaginations of young girls. And one of those dreams can — and should be — to be president." This year, The White House Project® will mark the 10th anniversary of the EPIC (Enhancing Perception In Culture) Awards on April 5th in New York City, honoring those individuals igniting leadership of women. With more than 350 high-level professionals in attendance, Barbie® will "officially" announce her run for office and unveil the Barbie® I Can Be…™ President doll. An interactive "Glam-paign Digital Dashboard" will be on display, featuring real-time engagement with attendees and fun "B Party™" news bytes. For the third year, the "Barbie® I Can Be™ Award" also will be presented to an exceptional 11-year-old girl, Emma Contiguglia, of New York City, for her community leadership that includes badge-earning work with her Girl Scout troop. She earned the Bronze Award, the highest award for younger Girl Scouts, for her service at the WARM Center in Westerly, Rhode Island. 1992 — Known as the "Year of the Woman" in politics, 24 new women were elected into the House of Representatives and Barbie® made her first presidential campaign debut. 2000 — At the new millennium, Barbie® was out on the pink campaign trail, alongside Elizabeth Dole. 2004 — As Senator Carol Moseley Braun made a bid for the Democratic candidacy, Barbie® was right alongside her, leading the charge on her own campaign. 2008 — A significant year for women in politics, Barbie® joined Hillary Clinton who maintained a strong foothold for the Democratic presidential nomination and Sarah Palin as the Republican Vice President candidate. A true fashionista both on and off the campaign trail, Barbie® keeps her political style classic and sophisticated, wearing a pink skirt suit with red, white and blue trim, designed by Council of Fashion Designers of America (CFDA) award-winning designer, Chris Benz. "I was so excited to jump into the playful world of American fashion design — one filled with color, fantasy and impact — for such an iconic customer," says Chris Benz. "It was very important for the outfit to convey professionalism and strength in silhouette and design. The ultimate in political chic, the Barbie for President doll look is truly a special moment in Barbie's history." Often called the "Prince of Color," Benz is known for his bright palette and fabulously fun designs. Benz has dressed many celebrities and fashionistas, including First Lady Michelle Obama. Benz was also recently recognized by Forbes magazine as one of the top 30 individuals under 30 to watch in art and design. A Modern Doll Runs a Modern "Glam-paign"
As any modern presidential candidate knows, the power is in the people. To engage directly and powerfully with her supporters, Barbie® is amplifying her social media network by launching official Instagram and Tumblr channels. Fans will be able to engage and follow Barbie® on her road to the "Pink House" through playful and inspirational news, guest posts, polls and other exclusive "B Party™" content on her Tumblr blog at Barbie2012.com. Barbie® will also continue to update her over 4 million fans/followers on Facebook, Twitter and Foursquare throughout the "glam-paign." Barbie's younger fans will be able to learn more about leadership and Barbie's candidacy at www.barbie.com. Barbie® I Can Be…™ President doll will be available beginning April 5th for pre-orders at www.mattelshop.com and will be available this summer at retailers nationwide in Caucasian, African American, Hispanic and Asian ethnicities. The White House Project ignites the leadership of women in business and politics. We connect, coach, and educate an ever-expanding alumnae network of 14,000 nationwide. With a focus on women age 21-35, we activate the ambition, creativity, and skills necessary for innovative and effective leadership. The CHRIS BENZ collection is a reflection of a colorful, eccentric American style. Often referred to as The Prince of Color, Chris' collection reflects the ease and carefree attitude one can expect from a true American Sportswear collection. In February 2007, Chris presented his first ready-to-wear collection to high acclaim from fashion press and retailers during New York Fashion Week. Chris' vision is one of meticulous but effortless design: vintage and surplus elements, retooled in classic luxury fabrics that set the temperature of new American sportswear. 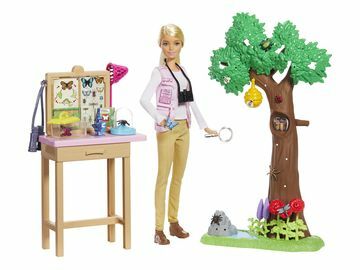 ©2012 Mattel, Inc. All Rights Reserved.